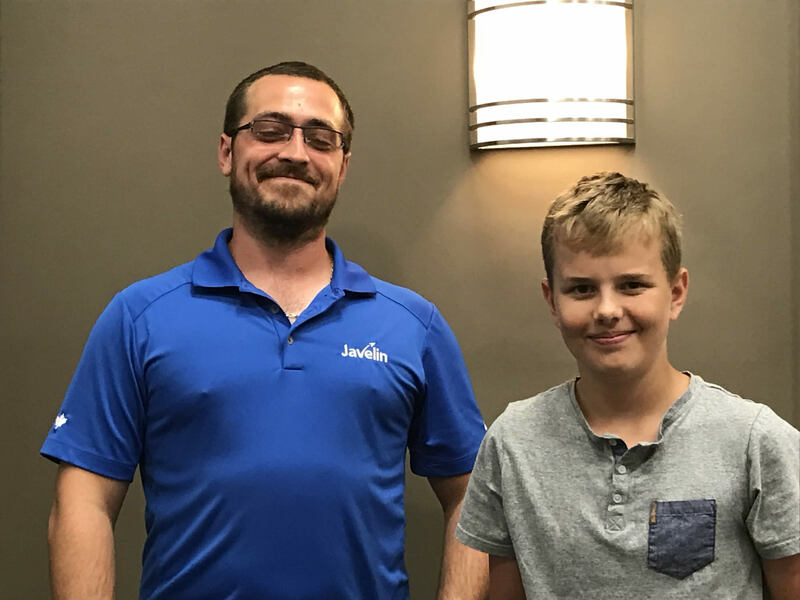 Jeffrey, our youngest student, ever, took a SOLIDWORKS Training course with Javelin in March of 2017 at the age of 11. Fast forward to August 2018, he came back for more. As luck would have it, the same instructor led both classes where Jeffrey was enrolled. Jamie Hill, a SOLIDWORKS expert noted that Jeffrey had improved dramatically in his use of the software and things will only get better from here. Jeffrey had registered for the SOLIDWORKS Advanced Part Modeling course and again ran circles around the others in the class. Since 2017, he has been busy working on a project that can help the visually impaired navigate through their day to day lives.The concept is to add sensors to the shoes that beep when there is an obstacle in the path of the person wearing the shoes. The sound alerts the wearer that they may need to be aware of a curb when crossing the street or to move to one side to avoid bumping into something. This project was Jeffrey’s submission in a local science fair, and the project won first place. As he wants to keep improving the design of this shoe, Jeffrey felt the time was right for more training with Javelin. To continue moving forward with what he can do, Jeffrey applied for a place in a program with The Knowledge Society. Their mandate is prepare young people (ages 13-17) to become leaders in their industries. The learning space is optimized for creativity, collaboration, and ambition. TKS encourages students to take risks and think big. The program involves a rigorous application process and (no surprise) acceptance to the program came 2 weeks after the application interview. As one of the youngest to be accepted, there was quite a bit of learning, and with industry partners also involved, Jeffrey has been able to continue working on his inventions. The young inventor is now working with his second 3D printer as the first wasn’t robust enough for what he wanted to do, and he is working in his father’s company to provide prototypes for those products. It’s not all work for Jeffrey. He is still playing LaCrosse for a rep team in his home town and has started Grade 8. He is already thinking about high school and will continue his course to create, invent and improve. All the best to Jeffrey in his future endeavors. Are you an educator wanting to deliver SOLIDWORKS training to your students? Learn more about SOLIDWORKS software for Education and the discounts available for academic institutions. What Combines Mills, Museums & Mummies? At 11 years old, Jeff is Javelin’s Youngest SOLIDWORKS Training Graduate! We are Canadian experts in 3D and have enabled thousands of companies to aim high with solutions for 3D Design, Data Management & Workflow, Manufacturing & 3D Printing.